Company - Office Resources, Inc. Since 1945 Office Resources, Inc. (ORI) has provided innovative results and creative work environments. It is why we have been in business for over seventy (70) years and why our product and service offerings are constantly evolving. Our vision is to be a regional leader and provider of high performing work environments and supporting services. Our over seventy-five employees wake up every day with the mission of helping our clients create work environments that support their business objectives – work environments that: energize and inspire people, help attract and retain talented people, support your corporate culture, be a vehicle to your brand and to add to the functionally, effectiveness and value of your facility. Office Resources, Inc. (ORI) is a privately owned Kentucky Corporation, which was formed in July 1993 by the merger of O’Connor & Raque (established in 1945) and Bosco/Intecon (established in 1966); the operating assets of ORI were purchased by George Bell, a Steelcase, Inc. Executive with over twenty years of industry experience in September of 2004. In August of 2012 ORI combined resources with Cardinal Office Systems to expand the markets we serve, adding additional resources and expertise in the government, healthcare and higher education markets, and to better supports our current and future customers. O’Connor & Raque began as a small retail office supply store at 416 West Jefferson Street in 1945. For the next 20 years the founders grew the business by adding office furniture to the company’s product offering and adding commercial sales people to make direct calls on the customers. Founded in 1966, Business Office Supply Company, Inc. originally operated as a general line office supply and furniture dealership, which became familiar by the name “BOSCO”. The dealership began representing Steelcase in 1967. Because of the fast-paced growth of the large corporations, the growing complexity of the products they were selling, and the importance of trained specialists to serve customers, the company divided into two divisions in 1978: INTECON (offering contract furniture and total office environment services) and BOSCO (a commercial stationer). In 1995 ORI sold the office supplies division to Boise Cascade Office Products, allowing ORI to concentrate on furniture and services for the work environment. No one buys office furniture for office furniture sake, It’s about helping you achieve achieve your business goals by working with you to create high performing work environments that people love to work in. At ORI we operate on a “no bad job” promise. We are not done until you are completely satisfied. 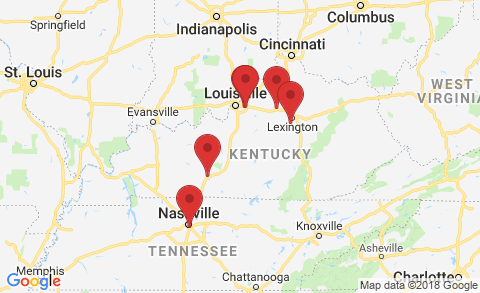 Today we operate in all of the Kentucky counties and look to expand to other markets as our client’s needs grow and they ask ORI for additional support. In 2012 we were honored by being named a Platinum Dealer by Steelcase, an honor awarded to a few select dealers in the United States for exceptional client service, co-branding, reinvestment and support of Steelcase performance targets. In addition we have been named as a “Fast 50 Company” an annual award to Louisville’s fastest growing private companies, a “Best Employer” by Goodwill Industries and “Partners in Philanthropy” award winner for our community outreach to name but a few of the recent awards.